The Trilogy Make-Up Be Gone Cleansing Balm claims to remove foundation, mascara and lipstick (long-wear and waterproof) like nothing else. 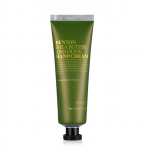 It melts on contact with warm skin, dissolving impurities and leaving your face perfectly cleansed, supple and silky-smooth. The star ingredients in the formula are highlighted on the jar label, namely, Coconut Oil, Mango Butter and Rose Hip Seed Oil. Coconut Oil has widely documented hydration and nourishing properties resulting from a high content of essential fatty acids. 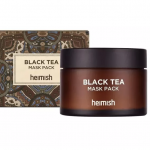 It coats the skin’s natural barrier to prevent moisture loss and in doing so, together with anti-bacterial properties, helps to heal and repair skin. Mango Butter is extracted from the shelled fruit kernel of the mango tree. It is also rich in antioxidants, offering protection against UV radiation and high in Vitamins A, C and E, providing a soothing and healing effect against skin irritations. Mango butter is an especially effective treatment for dry skin. 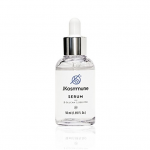 Rose Hip Seed Oil is extracted from the seeds of organically grown rosehips, guaranteeing a minimum 80% essential fatty acid content to aid hydration, repair and strengthen skin. Rosehips are high in vitamins and essential fatty acids aiding to deliver anti-ageing benefits and a firm and youthful skin appearance. Sunflower Seed Oil and Olive Oil are the ingredients found at greatest concentration in this formula. Sunflower oil is a good source of Vitamin E, trapping moisture inside cells, allowing skin to remain hydrated for a longer period and helping to retain a proper oil balance. Anti-oxidant properties repair the damage done by free radicals, helping to reduce the formation of fine lines and wrinkles. Similarly, olive oil too contains fatty acids which help to soothe, nourish and lubricate the skin. Bees Wax is a natural wax which helps prevent moisture loss and gives the balm its texture. Camellia Seed Oil is known for its cleansing and moisturising properties. Antioxidants also protect against free radical damage. Finally the Chamomile Flower Extract is well known for its soothing and calming ability. 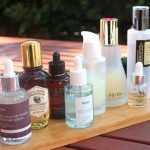 All up, an impressive list of natural extracts and oils which create a potent formula for skin care. On the surface, camellia seed oil appears to be the main cleanser of the bunch, the other ingredients contributing soothing, healing and moisturising benefits to leave the skin hydrated and supple after application. 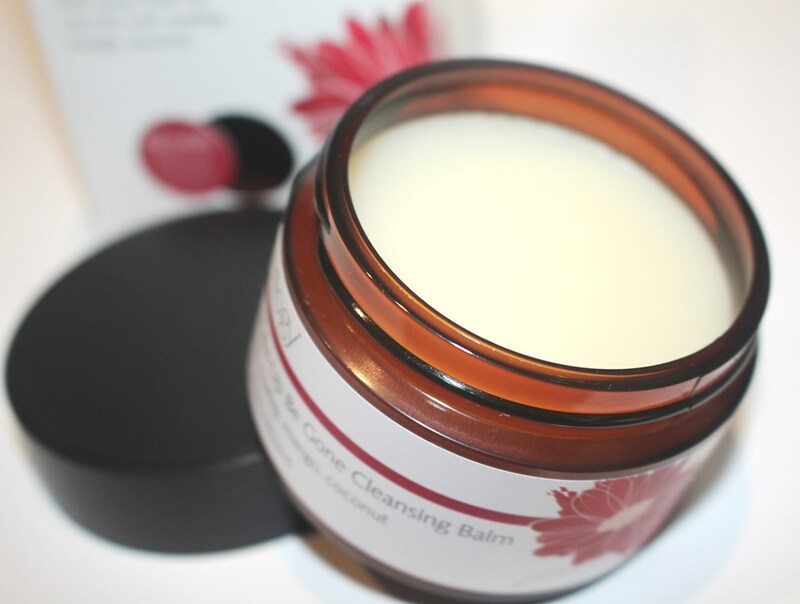 The Trilogy cleansing balm comes in a screw top dark plastic jar. It is sold with a small, organic cotton face cloth. Running the ingredient list through the CosDNA analysis, the formula scores well due to the high number of natural components however, the inclusion of fragrance (perfum) does not rate favourably since it is a known irritant. 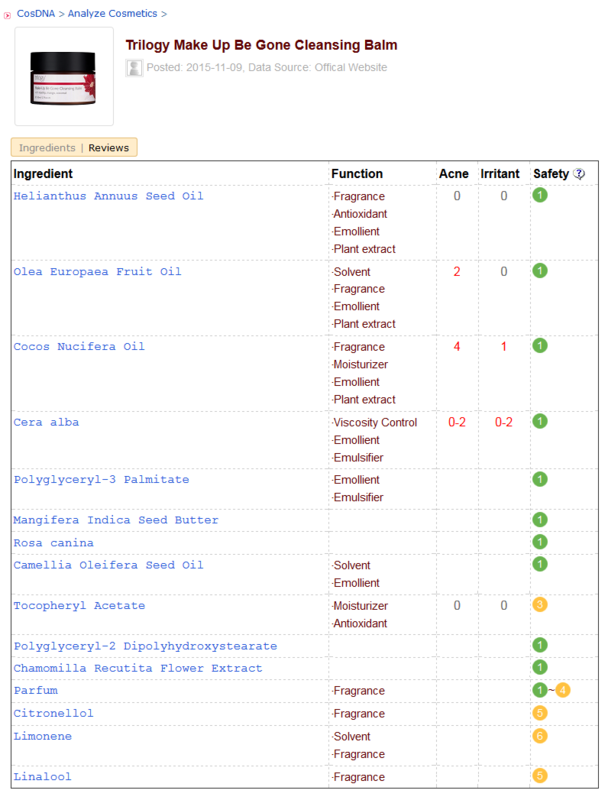 The EWG Cosmetics Database, rated all ingredients safe, most given an ideal 1. As expected, a red flag of 8 was raised against fragrance, giving it an overall grade of 3, low-moderate hazard. 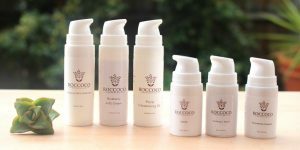 The Trilogy website provides the following suggested use: Scoop ¼ teaspoon onto fingertips and massage on to dry skin. 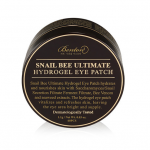 As the balm melts, concentrate around eyelashes and areas of heavy make-up. Rinse the organic cloth with warm water, wring and gently wipe over the entire face. 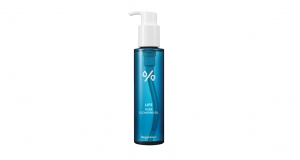 This product includes artificial fragrance as discussed within the analysis above. The smell is not overpowering nor is it offensive. Fruity and floral would be the way I would describe the scent. However, I am not a fan of added fragrance. This one does not irritate my skin but is unnecessary and perhaps a little strong. 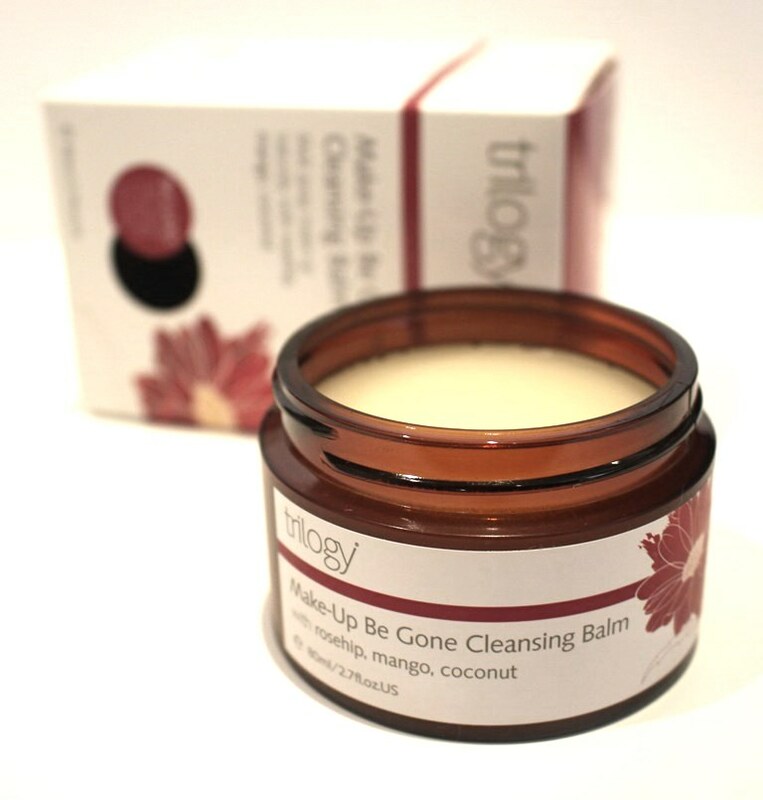 The Trilogy Make-Up Be Gone Cleansing Balm comes in an 80ml jar and sells for AUD$38.95. 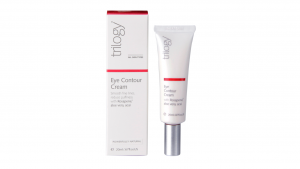 Trilogy products are widely available for sale at pharmacies, beauty shops and online stores. 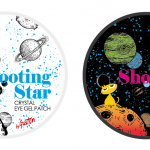 Purchasing directly from the Trilogy website attracts complementary Australia and New Zealand wide shipping (no minimum spend). 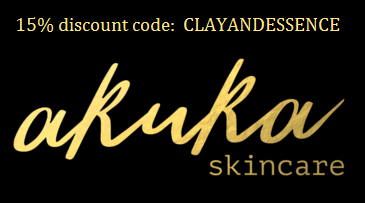 Orders placed on their website also receive free samples plus free gift wrapping if required. 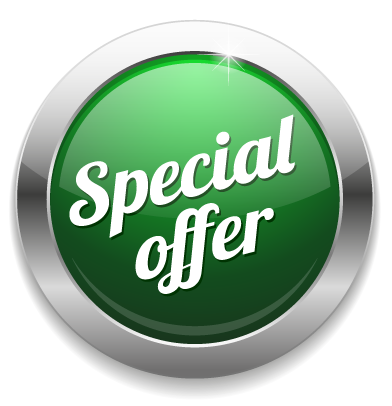 The company additionally runs a rewards program with various incentives and voucher credits. Shipping costs outside Australia are reasonable, capped at US$10.00. The products lasts 6 months after opening. 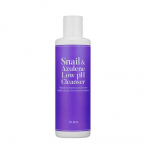 This is an ideal first cleanser to start off an evening routine. The balm is thick, easy to handle with a spatula or fingers. Upon application to a dry face, slight massaging with the fingers warms it up and it quickly turns to liquid form aiding spreadability. I apply it to my cheeks and then as it melts, move it to the rest of my face. I wouldn’t dollop it directly onto my eyes or lips for instance. However, it doesn’t irritate the eyes at all, so you can spread the formula over the eye lashes to target mascara and eye liner. Trilogy suggest a quarter teaspoon amount for makeup removal, however, you may need more for heavy makeup. Rinsing it with warm water alone won’t result in as thorough a clean as wiping it off with a wet cotton face washer (as supplied). 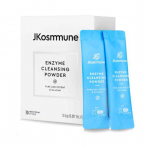 Soaking the cloth with warm water, wringing it and then gently wiping it over the face is the recommended usage and the most effective way to achieve a good first cleanse. And yes, it is gentle and works well. The six month expiry upon opening is not an issue either as with daily use, this jar won’t last more than around a couple of months. However, the cost is a definite negative against this product. 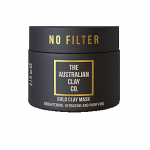 Almost AUD$40.00 for an 80g jar certainly puts it in the luxury skincare category. 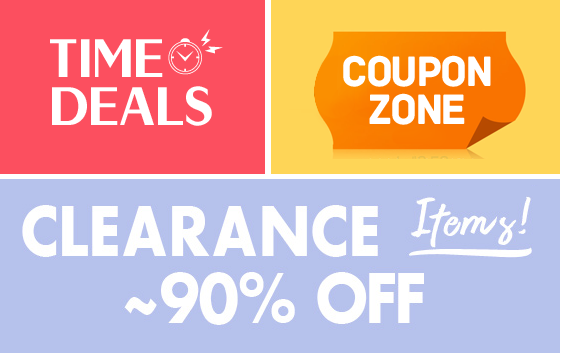 You can sometimes find it on sale so stock up if you do! 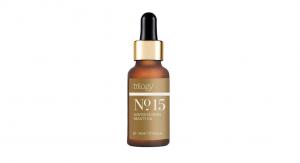 Trilogy prides itself on its high, sociably responsible standards and production practices boasting natural certification without GMO (genetically modified organisms), against animal testing, supporting ethical trade practices plus the use of recycled packaging. Perhaps for those of us who are ethically minded, the choice is clear. Those on a budget however, may simply not be able to afford this product, particularly since similar ones exist at a fraction of the price. 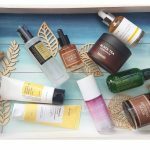 Other factors that may sway you include company reputation and Australasian manufacturing (Trilogy is New Zealand based and the country’s top selling skincare brand). They are also socially minded, supporting a range of causes aiming to reduce poverty in African communities, preserve endangered orangutan habitats, end violence against females in the Pacific and support workplace equality.